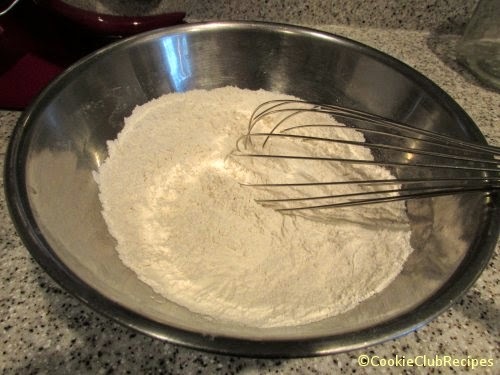 Whisk together flour, soda, powder, and salt. 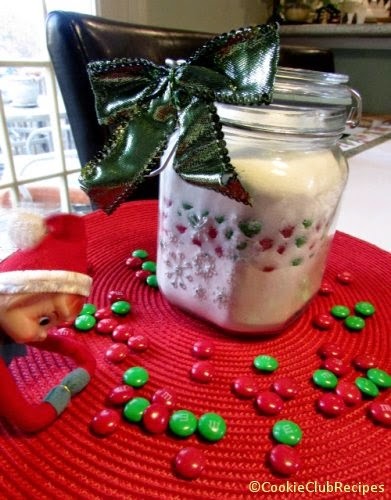 Transfer to canning jar, or decorative holiday jar with an airtight lid. Press flour firmly in place. 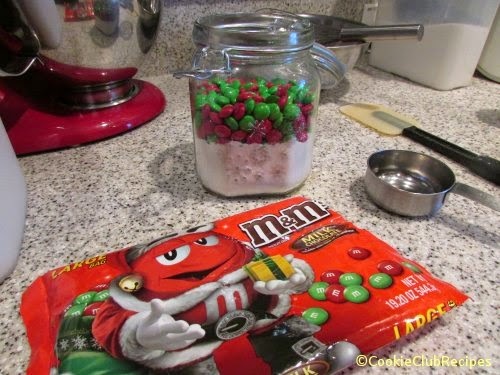 Add M&M's candies, press firmly in place. Add sugar. 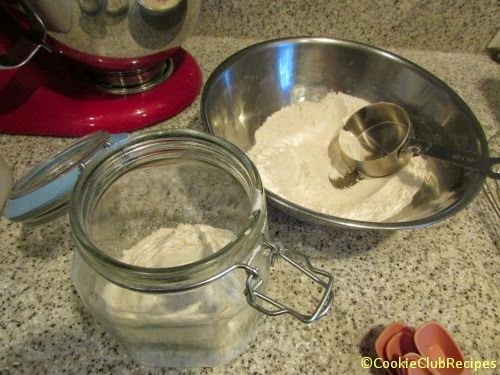 Close jar airtight. Watch out for the Christmas Elf. He loves M&M's!!! 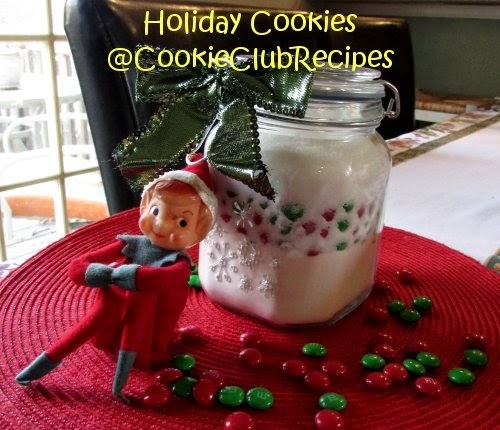 Place cookie mix in a large mixing bowl and blend layered ingredients together. Stir in 1 stick of softened butter, 1 egg slightly beaten, and 1 tsp. vanilla extract. Mix until blended well. Shape cookie dough into 1-inch balls and place 2 inches apart on lightly greased baking sheet. Bake at 375 degrees for 12 minutes or until edges are lightly browned. Remove cookies from oven and cool for one minute on baking sheet, then move to cooling rack. Enjoy! 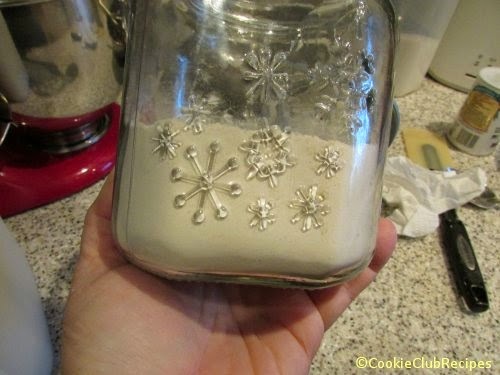 Tip: Print extra copies of recipe to cut out baking instructions.